Solid wood flooring is one of the most desirable flooring choices for modern houses today. With the special features of its durability, irresistible feel, and unmistakable character, it gives a finest finishing look to a home. It has to be installed carefully because of its expanding and contracting feature. It gives a lamination look to the floors. It comes in different forms like parquet, strip, and plank. The solid wood used is actually a hardwood plank used. Solid wood flooring has also been used as a replacement of other flooring types because of its many benefits. It has always played a good role in home improvement services. 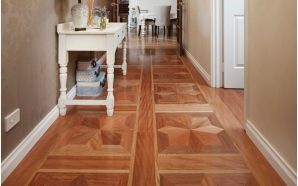 Solid wood flooring has various designs available in the market for traditional and modern styles. Different kind of woods used is cherry, walnut, or oak with either strip or block shaped. Some of the designs contain stains or stranded designs with gives a different and mesmerizing look to the floor. Thus, so many designs are available according to every individual’s wants and taste. 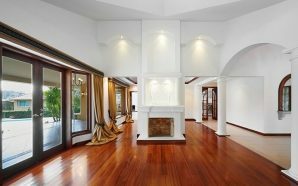 Wood flooring is in higher demand these days. The buyers of the houses take it as a plus point in the house. 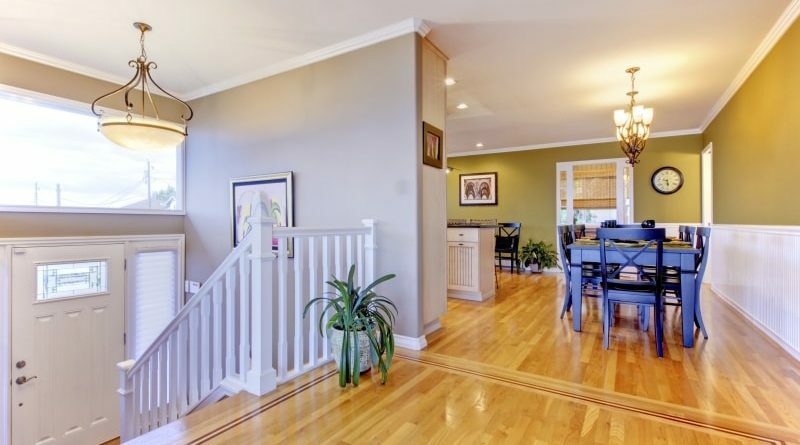 Solid wood flooring is an upgrade in the flooring system in the houses these days. These areas easily maintained. The floors can be washed with water or detergents, as they do not lead to the accumulation of water, debris, or dust. It has a long-lasting effect. They resist wear and tear, scratches, and are moisture retentive. An old house with these flooring will not have the damage on the flooring. It has long-term durability, as it is hard and strong. Repairing of these flooring is easy. After repair, it gives the same finishing and perfect look it had before. It is easily installed by people who have a good hand in all these jobs. Along with the numerous designs available gives an aesthetic, elegant, and a spaciousness look to the houses. Along with it, it also offers beauty and warmth to the house. Using this wood increases the value of the property, which eventually increases the demand. It enables a faster sale. Thus, the investment of properties with these flooring is a good option. A good quality solid wood flooring never produces any kind of sound or disturbance. Although some people do like these vibrations and noises while walking on the wood. Thus, woods are accordingly chosen with the preferences. These protect the inner environment of the place as well as keep the air clean to breathe. It traps all the dust and allergies present. Thus, it is always providing a hygienic surrounding around. As time passes and so does its usage, the flooring has so effect on it. The beauty and elegance remain the same as long as the floor is there. No change is caused or no damage occurs, as years’ passes. It lasts longer. Thus, an improvement can be made in these areas of the house with the replacement of other floorings with that of the solid wood flooring. 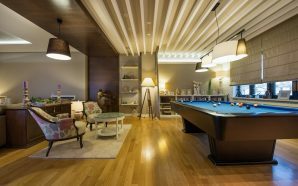 These benefits make it suitable and best option to choose for an excellent home improvement material for the house interiors. Wooden carpets are also available which can be used in the walls. Floorings of these kinds on the walls as well as on the floor are excellent for the property.